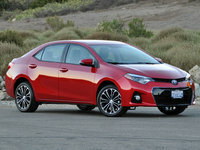 CarGurus has 11,259 nationwide Civic Coupe listings starting at $1,995. 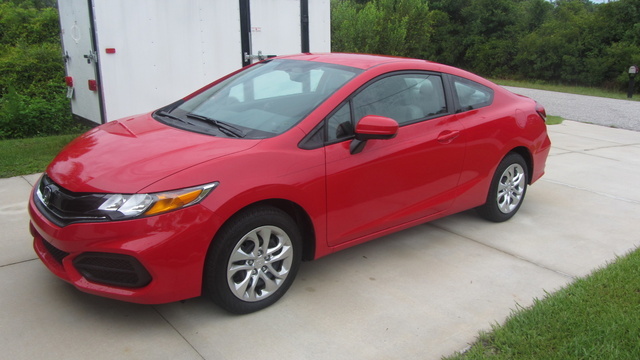 Car buyers looking for a coupe body style, sporty handling, a modern infotainment system and excellent fuel economy would do well to start with the 2015 Honda Civic Coupe. This is the leading seller in its segment (by far) and that sales position was rightfully earned. The 2015 Civic Coupe offers top safety rankings and a reputation for quality that no other competitor’s coupe can match. Honda made a very rare blunder with the new design for the 2012 Civic, which was not well received by those considered important to the car’s success. However, credit Honda for taking immediate action to improve the car, rather than waiting until the next 3- or 6-year design cycle change. In 2014, the Civic Coupe’s body was restyled, and fans of the car were impressed. The Coupe received a unique front fascia and front fender flares, giving the car a more powerful appearance. In back, the Civic Coupe uses some elements of the outstanding Accord coupe, such as an integrated trunk lip spoiler and, finally, the Civic Coupe was made available with new alloy wheel designs. Thankfuly, all of this carries over for 2015. The 2015 Honda Civic Coupe comes with a 143 hp 1.8-liter “Earth Dreams” engine. This engine is lighter than Honda's previous offering, and the exhaust was modified in 2014 to up the power by 3 hp. The LX and EX trims come with either a continuously variable transmission (CVT) or a 5-speed manual, while EX-L and EX-L Navi trims come with only the CVT. For the EX and higher trims, the CVT offers a Sport mode that can be shifted with paddle shifters and Honda claims the CVT offers a sportier feel than standard automatic transmissions. The Civic Coupe is designed for fun with a suspension built for flat handling and responsive steering. For those looking for more raw performance, at a price, Honda does make a Civic Si that takes the power and handling up a notch. Fuel economy is important to all car buyers, but in the compact, affordable car segment it becomes paramount. The 2015 Civic Coupe offers class-leading fuel economy with its manual transmission delivering 28 mpg city/36 highway/31 combined. 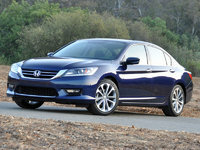 The CVT equipped cars do even better with a 29/38/33 rating. Note that those Honda Civic Coupes with the Sport-mode-equipped CVT suffer a 1 mpg drop in city and highway mileage, but mysteriously still have the same 33 mpg combined number. The cockpit of the 2015 Honda Civic Coupe significantly distinguishes it from its peers. All Civic Coupes come with Bluetooth, Pandora integration, a rear-view camera, SMS text view, and steering-wheel-mounted audio controls with Honda’s wrap around style dash angling the information toward the driver. Information is displayed at nearly eye level above the steering wheel on the instrument cowl (a bargain heads-up display of sorts). Lower, another instrument cluster sits in the traditional position behind the wheel. To the driver’s right is a larger infotainment screen which, in the EX and above, is a Display Audio screen with LaneWatch. This system shows the driver the view to the passenger side of the vehicle when making right turns and is a superior system to a blind-spot monitor. Using it can be very addictive. Trims in the Civic Coupe begin with the LX but steping up to the EX brings LaneWatch, Display Audio, 16-inch alloy wheels and push-button start. The EX-L adds 17-inch alloys, leather and heated front seats with the EX-L Navi adding navigation and both XM Satellite radio and HD terrestrial radio. Unlike some of its peers, the 2015 Honda Civic is an IIHS Top Safety Pick. The Civic Coupe earned a top score of Good on all the crash tests conducted, including the small frontal overlap test that tripped up some big-name competitors. Active front-crash prevention is not available, limiting the Civic Coupe's eligibility for the Top Safety Pick Plus designation. Looking deeper into the IIHS safety report on the Civic Coupe, we see that the agency singled out the Civic’s airbags for working well in the small frontal overlap test and that the roof strength was far in excess of the requirement. The 2015 Honda Civic Coupe offers buyers looking for an affordable car a level of style and fun that's hard to match. 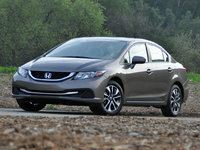 The Civic’s excellent fuel economy and safety ranking make it that much more attractive. What's your take on the 2015 Honda Civic Coupe? 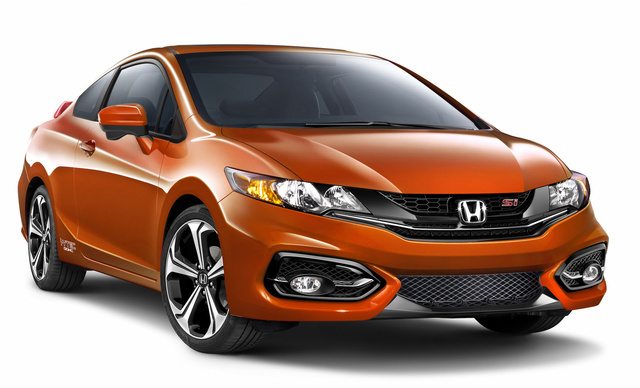 Have you driven a 2015 Honda Civic Coupe? How Can I Tell If My Car Has Suffered Water Damage After Flood? I got Into a collision and damaged the front bumber of my vehicle my question is what is this hose that is damaged and how much should it cost to repair?